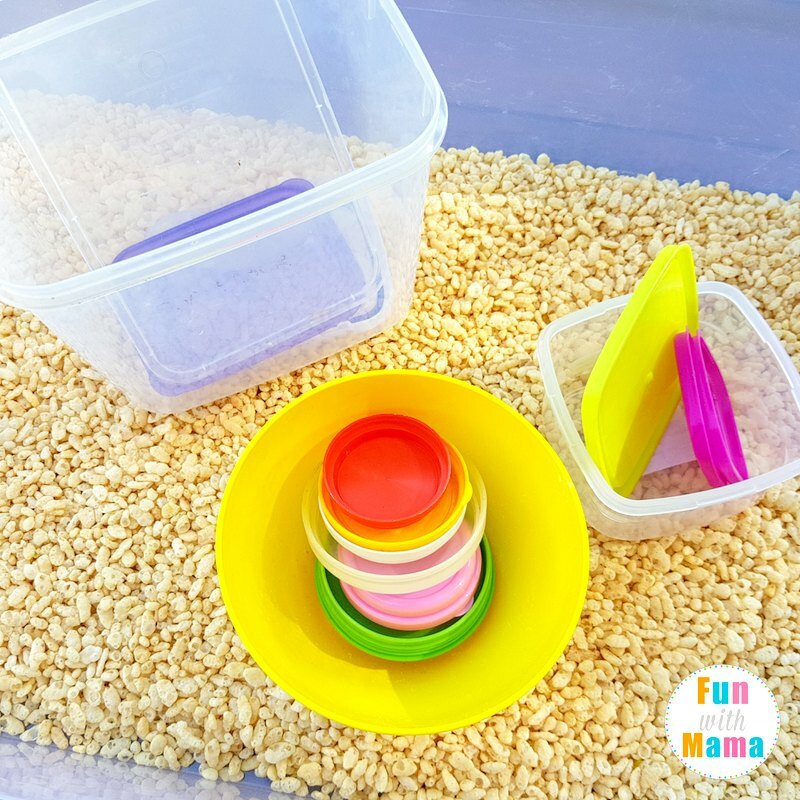 If you’re looking for a quick and easy sensory bin to set up then this preschool shapes sensory table is perfect. 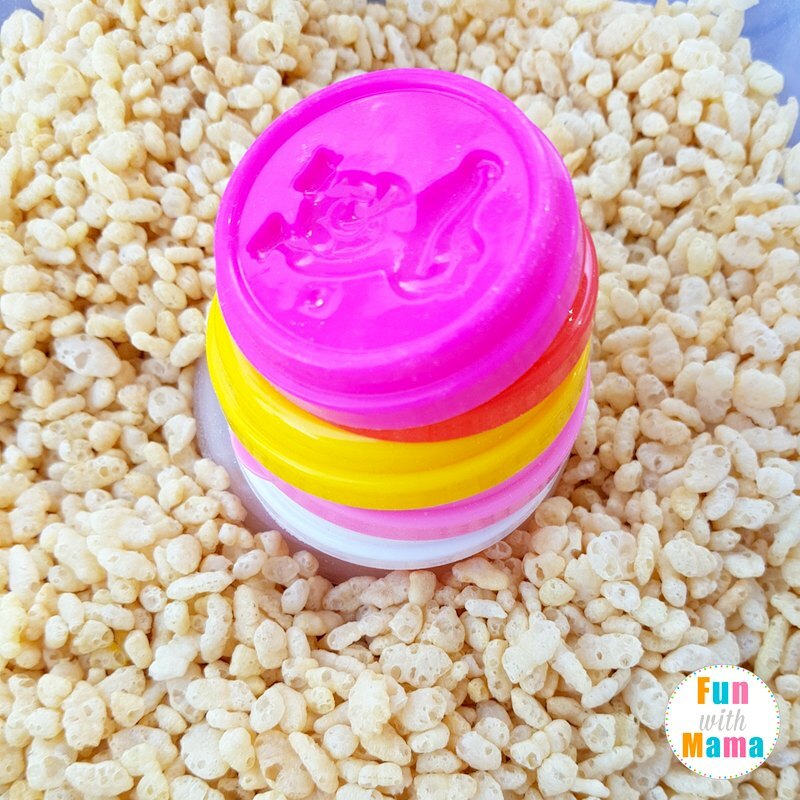 It takes very little time, uses items you probably already have and is a lot of fun for the kids too! 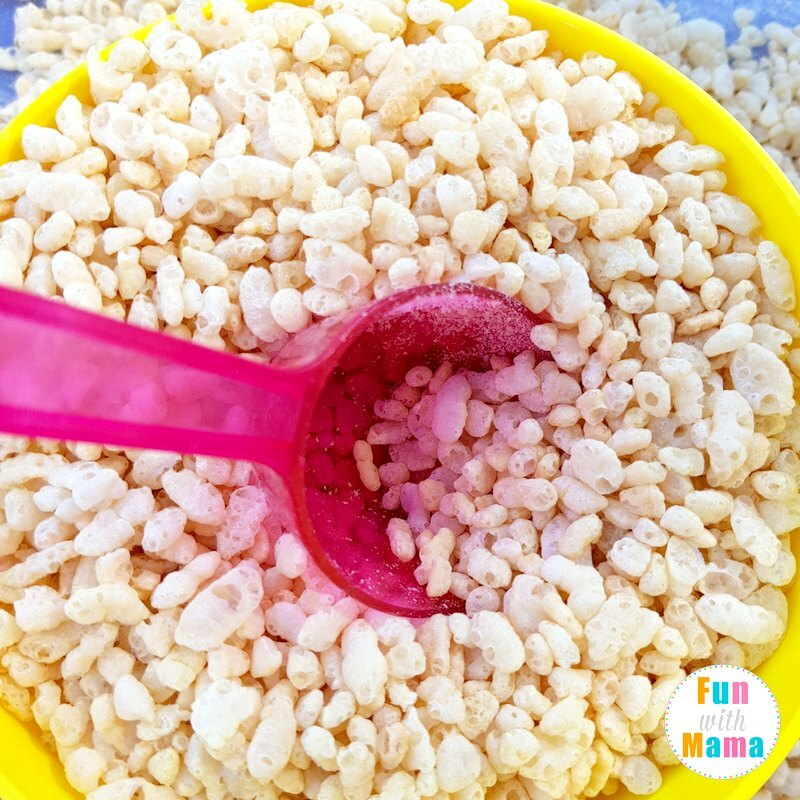 Use cheap cereal to fill up your sensory table for a classroom setting. 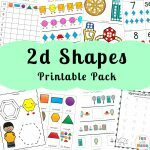 This activity is a great addition to our 2d shapes and 3D shapes activities pack. Play games to see who can find a square shape or a circle shape in their environment. Go walking and look for items in nature that are certain shapes. Start talking about what makes them uniques (a square has 4 sides and 4 corners but a circle has no corners etc). 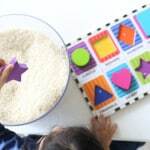 By noticing the shapes around them, children will naturally begin learning their names and characteristics. 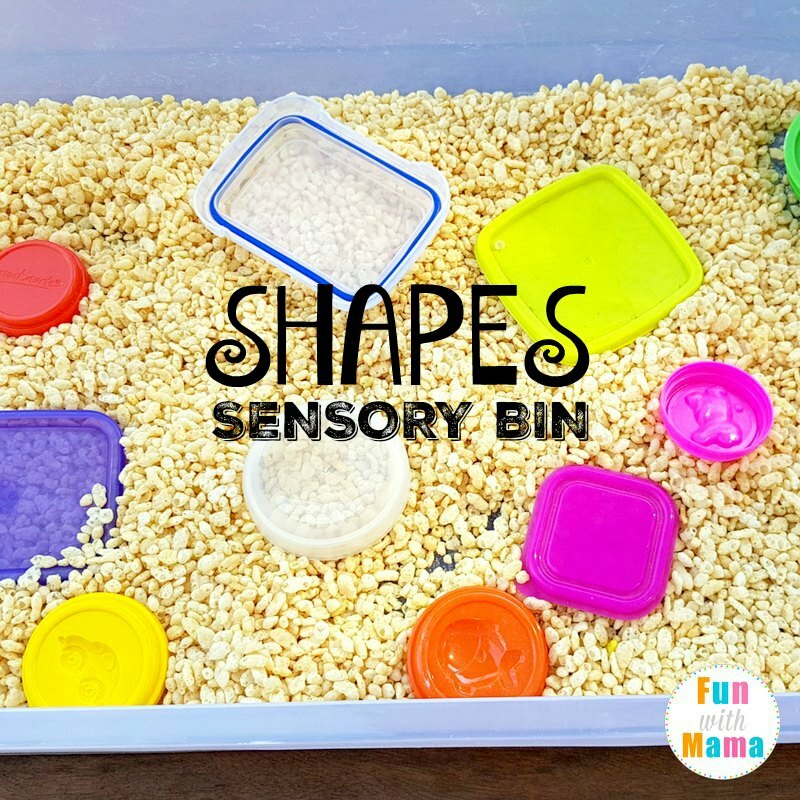 We focused on circles, squares and rectangles for this sensory bin and you can easily add other shapes too. 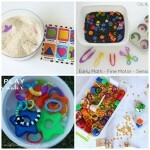 For this sensory bin I used a lot of items that you should already have at home. 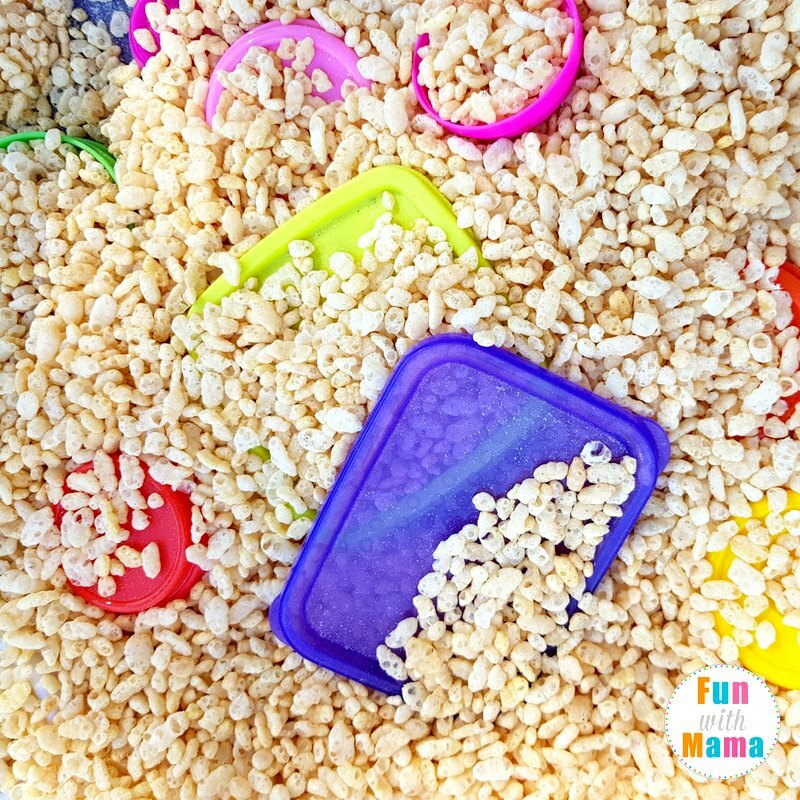 I made our sensory bin base out of rice krispies, but you could easily substitute this with rice, sand or pasta. Whatever you have available! Look for items that you already have at home. You have shapes in everything! A plastic sensory tub like this one. Shapes that you find around the house. We used a variety of different shaped lids but foam shapes like these would work well too. 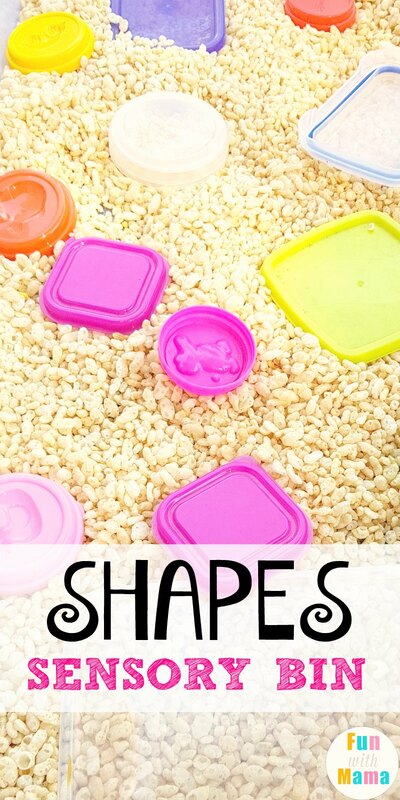 A container for each shape. Playing games. Ask them to find the yellow circle or the pink square and see how fast they can do that. Ask them to find the shape with no corners or with 4 equal sides. 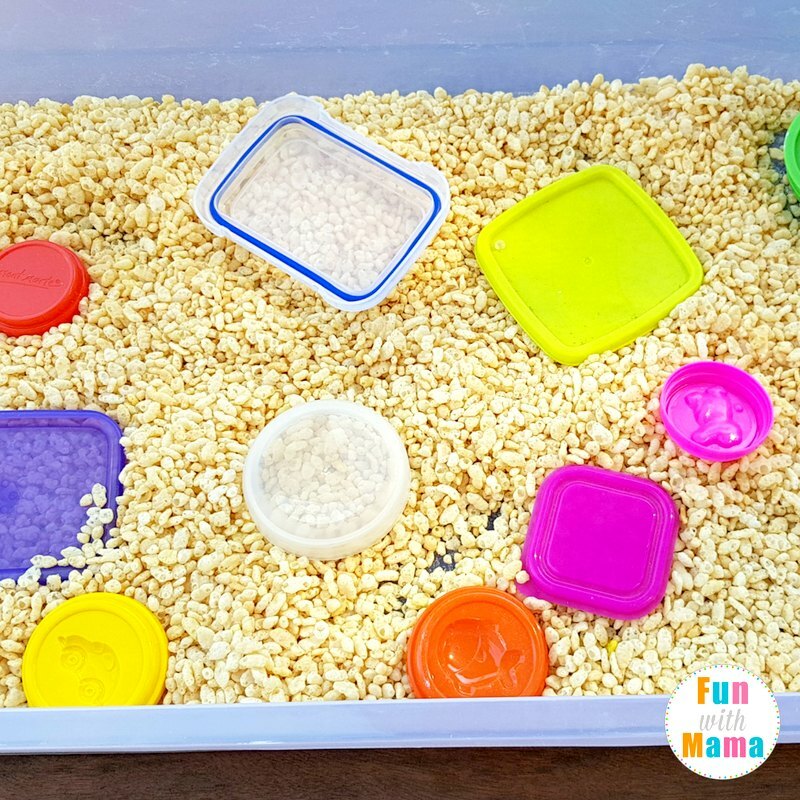 This was a fun and educational sensory bin that I’m sure we’ll be pulling out a lot more over the coming weeks. 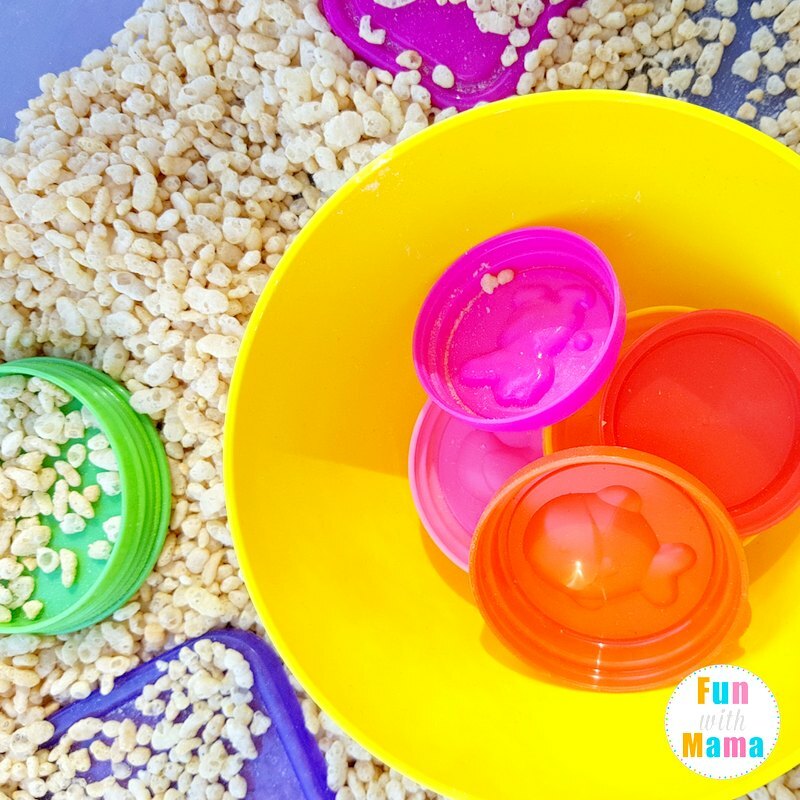 Pop a lid on your sensory bin and it should store for months without a problem. 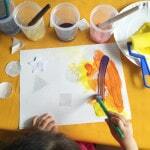 You can find all of our shapes activities here.